This factsheet is for the many self employed taxpayers, company owners and property landlords who are unaware of HM Revenue and Custom's radical plans to transform the tax online filing system. From April 2019 VAT registered business, whose taxable supplies exceed the VAT registration threshold at 31 March 2019 must retain digital records and submit their VAT returns to HMRC using 'functional compatible software'. More complex businesses (PLCs, VAT Groups and those on Annual Accounting etc, see deferred businesses) do not join until 1 October 2019. Do you need to be in MVD? See our MVD tool: who has to join? From April 2020, it is proposed (but not confirmed) that the self assessment tax return is being replaced by five new reporting obligations made during and after the tax year. Your first tax return under such a system is due in the forth month of you accounting period, you will then have to file with HMRC every three months. If you are not already using software for your record keeping/ accounting, you will need to learn how to use a spreadsheet, or some type of accounting software or App. You will need a reliable internet connection and a facility to store your electronic data. What equipment (hardware) and software or Apps do I need? Your requirements depends on you, how you feel about technology and the nature of your business. If you use an accountant you can continue to do so. You can delegate all your bookkeeping and online filing to an accountant, tax adviser or bookkeeper if you feel you cannot cope with this new system. If you are one of the 2 million taxpayers who do not engage any professional help in reporting to HMRC you need to decide which system to use. Accounting using a phone is not for everyone: choose what may be best for you from the table below. You always have a good internet access or a phone signal. You like to do your bookkeeping every day. You do quotes for customers, or your customers like receiving invoices. You keep receipts for payments, total up mileage per MOT certificate, maybe use a diary and total up everything at the end of the tax year using bank statements. You enter details on tax return once a year. You keep a paper cash book, or use a spreadsheet to summarise your income and expenses. You might sometimes use a spreadsheet for summaries. You record all your income and expense on your phone and store the data in the cloud. Your App sends your bank receipts and payments to your summary for HMRC. You have to check each transaction to set up the system, you will need to manually enter your cash sales and purchases. Your App sends your figures to HMRC every quarter, You still have to make the usual accounting adjustments at the year end in the final year end report. Your spreadsheet will now have to link to HMRC to allow quarterly reporting. Software will become available to do this as the software market grows. Depending on the results of its test pilots, HMRC may allow you to manually enter your quarterly figures. You still have to make the usual accounting adjustments at the year end. Your software will need to be updated to allow MTD filings. If your software does not have a bank feed then you can update to add that. It is best to avoid using a personal bank account for business. This will make an automatic bank feed more complicated. Verdict Good for very small technically minded business with reliable internet who like entering data on phones/tablets daily. Good for any size of business if you prefer a simple system where you can see all your transactions on a big screen and you don't have to do bookkeeping daily. Good for any size of business if you prefer a system where you can see all your transactions on a big screen and you don't have to do bookkeeping daily, provided that you are happy to learn new software. If you are reading this guide you are probably online and this might not apply. You will be excluded from the electronic bookkeeping and filing elements of MTD if you are unable to handle it, due to age, disability or location, or if it is contrary to your religion. 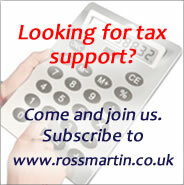 You will need to satisfy HMRC that you cannot do so before they will agree to the exemption. If you are a VAT registered business with taxable supplies (non-exempt turnover), which exceeds the VAT registration threshold you will be mandated into MTD for VAT from 1 April 2019. The start date is 1 October 2019 if you are a complex business (annual VAT accounting, a PLC, a trust, a VAT group, a local authority, non resident etc), see MVD: when do I have to join? You will have to keep digital records and file returns under MTD for the first VAT return commencing after 1 April 2019/1 Oct 2019. If you are not VAT registered but your taxable supplies exceed the VAT registration threshold on or after 1 April 2019, you will be mandated into MTD for VAT from your VAT registration date. If you are VAT registered but your taxable supplies do not exceed VAT registration threshold at 1 April 2019, you are exempt from MTD for VAT until the first day of the month following the end of the first 12 month period ending after 1 April 2019 where your taxable supplies do exceed the threshold. For example, if the first time you cross the VAT threshold is the 12 months ending 30 November 2019, you are mandated into MTD for VAT from 1 December 2019, even if you have been VAT registered for many years. Once in MTD for VAT, you remain in MTD for VAT unless you deregister for VAT. Under MTD for VAT, you complete the same number of VAT returns as currently (4 for quarterly, 12 for monthly, 1 for Annual Accounting). The due dates remain the same. The MVD pilot opened for some businesses on 16 October 2018. See MVD when to join the pilot. The first tax year likely to be affected is 2020/21. This runs from 6 April 2020 to 5 April 2021. First report will be due in June/July 2020. Your Self Assessment tax return for 2019/20 will also be due by 31 January 2021. Fifth and final year-end report deadline: probably January 2022 in the first year. You will be able to change your accounting period and quarters. The end of year report then becomes due at the earlier of 10 months following the year end and 31 January. The entry threshold for the cash basis increases to £150,000, and the exit threshold to £300,000. The current general disallowance of capital expenditure will be replaced by a more specific disallowance for certain assets (including those not used up within 20 years). HMRC are still looking at changes to basis periods, and simplified reporting with fewer adjustments. More detail is expected later this year. The cash basis will be the default method for unincorporated businesses. You are a company, an LLP, a trust or a partnership with corporate members. You will be allowed to voluntarily pay your taxes as you go: the detail is still being decided. Eventually it is likely that you will be required to make four payments per year on account of tax. There will be no late filing penalties for at least a year while the new system beds in. After that you will suffer penalties if you file your returns late. Making VAT Digital: when do I have to join? Who has to file when and where, ideas to simplify and latest documents.